Step 1 In a large pan, boil 3 cups of lightly salted water, add vegetables, onion, cardamom, and cinnamon. Reduce heat and simmer until vegetables are soft, 10 minutes. Using a ladle, remove excess water, then slowly stir in coconut milk. Add curry leaves and simmer 1 minute. In a small pan over medium heat, saute ginger in the vegetable oil until fragrant, 1 minute. Transfer ginger to vegetable mixture, remove cinnamon stick, and season with salt and freshly ground black pepper. Meat alternatives like tofu, tempeh, and cauliflower may be bland, but they’re masters at picking up seasonings. Don’t be afraid to experiment with exotic ingredients. 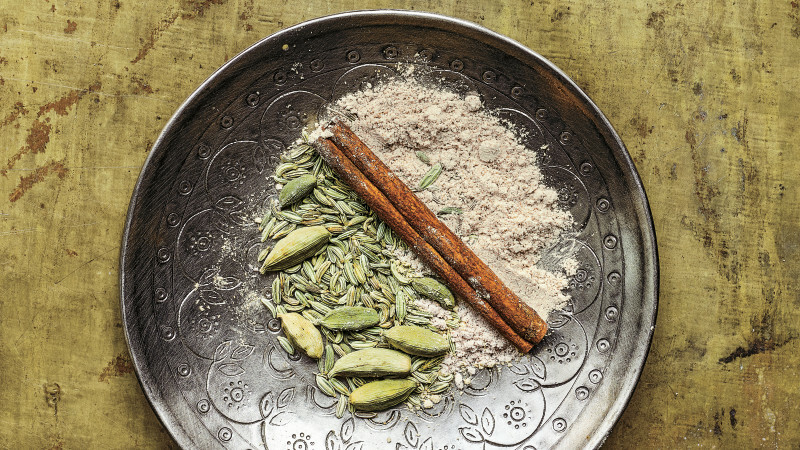 When possible, buy whole spices and grind at home for maximum freshness.